Wynwood is one of the must-see places in Miami. The walls, the art galleries, the restaurants, the bars, the stores, you can easily spend the whole day walking around this incredible place. That's why I put on a comfy and fresh outfit ideal to wonder around new places without worries or time constraints. I put on shorts, a fresh silk shirt, flats and a Panama hat to protect me from the sun and to add a touch of sophistication to the outfit. 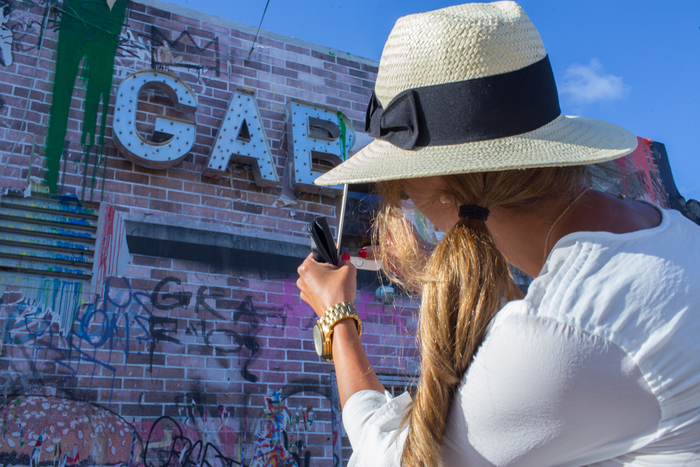 Wynwood es uno de los lugares mas visitados de la ciudad de Miami. Sus galerías y obras de arte, los restaurantes, los bares y las tiendas hacen que uno pueda pasar largas horas o hasta el día entero caminando alrededor de este increíble lugar. Por esta razón me puse el look mas cómodo y fresco que encontré para disfrutar de una buena caminada sin ninguna preocupación. 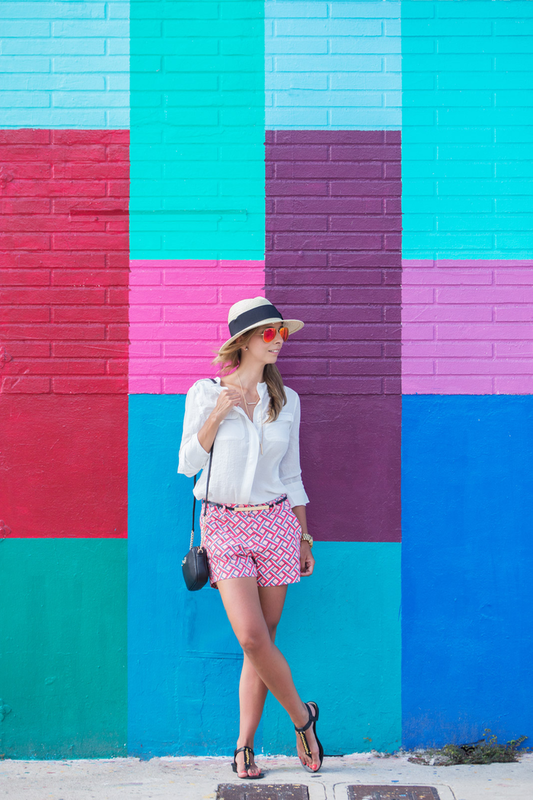 Decidí llevar shorts, una blusa ligera, sandalias y mi sombrero estilo Panamá para protegerme del sol y además agregar un toque sofisticado a mi atuendo. H&M blouse, Joe Fresh shorts, Ralph Laurent sandals, Michael Kors bag, Forever 21 necklace, Zara belt, H&M hat, Ray-Ban sunglasses.